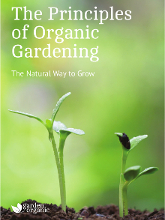 We have a selection of booklets to help you with your organic growing. These can all be purchased online, or over the phone by calling 024 7630 8210. First Steps in Organic Growing - new publication! Interested in organic gardening - but don't know where to start? 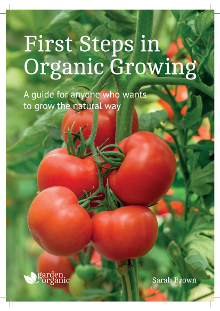 Whether you are an experienced grower or novice, this new booklet is the perfect guide to taking those first organic steps. It will give you confidence in natural growing techniques - whether you have an allotment, a back garden or pots on a balcony. It covers the basics, from keeping your soil happy to encouraging wildlife. The list of vegetables, fruits and herbs are tempting (organic sorrel and strawberries anyone?) as well as practical advice on managing weeds and pests - plus tips on the responsible use of energy, water and plastic. "Clear and comprehensive, this booklet should be in the back pocket of every grower," Chris Collins, Garden Organic's Head of Horticulture. Price - £2.50 (including p&p). To order a copy, click 'Buy now' below, this will take you to our donation page where you can select this booklet from the drop down list entitled 'what prompted you to make this donation'. A copy will be sent to you hot off the press! This simple booklet is the go-to publication for many organic growers. It takes you through the 5 fundamental principles of organic growing - Maintain soil health; Encourage biodiversity; Use resources responsibly; Avoid using harmful chemicals; and Keep a healthy growing area. Whether you grow vegetables or flowers, in town or country, allotment or balcony, the simple guidelines are there to underpin your organic journey. Comfrey is an organic grower's best friend. It is a herbacious perennial that can be used in a number of ways including as a compost activator, a liquid feed, a fertilising mulch and to make leafmould potting compost. Exploring and sharing the benefits of comfrey is the main reason why our charity was founded - so you can tell it's an important tool for organic growers. 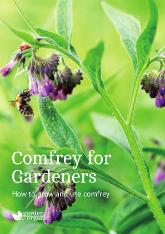 This short booklet covers why and how to grow comfrey, and what to do with it when you've grown it. Compost is nature's black gold. It will help you grow healthy plants, and making it yourself reduces pollution, supports the natural environment, saves money and protects endangered natural habitats. How? By recycling your garden debris and kitchen scaps. 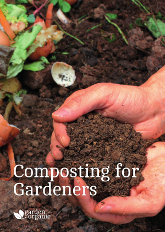 This booklet will tell you what to compost, how to make it and how to use it. It also include a simple overview of the different types of compost heap to help you choose the right solution for your growing area, whether you have a small balcony or a large estate. 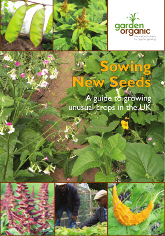 This booklet introduces the multitude of exotic and 'non traditional' foor crops that can be grown in the UK. From amaranth to water chestnut, chickpea to turmeric, you can learn everything you need to know to liven up your veg plot with this exotic vegetables, including how to grow, how to cook and how to save seed. Also included are a selection of recipes to make with your produce, including shark fin melon soup and caldo verde - a traditional Portugese soup. Price - £2.50 (including p&p). To buy a copy, click 'Buy now' below, this will take you to our donation page where you can select this booklet from the drop down list entitled 'what prompted you to make this donation'.